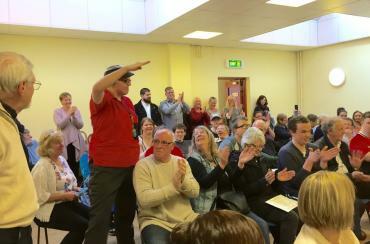 Find out about the new pilot happening in Coventry right now! In partnership with Public Health Warwickshire, Age UK Warwickshire is undertaking a countywide study into the unmet needs of older carers, specifically those who are experiencing social isolation and loneliness as a direct result of their care-giving role. See the attached leaflet to see how you can get your voice heard. As we approach the end of 2015 we have been reflecting on all of the activities that have taken place throughout the year. Some of the highlights include the wonderful production of Dorothy and The Wizard that took place at the Abbey Theatre at the beginning of year. We are pleased to announce the 2016 dates for Oliver's Nightclub - our monthly nightclub for adults with a learning disability. Olivers Nightclub can be accessed with or without a service from Take a Break Warwickshire. Please get in contact with Simon Thomas to find out more. Find the dates below or download the attached flyer. Thank you to everyone who attended Take a Break Warwickshire's 2015 AGM and TABLO Awards Ceremony. It was a great way to share in everyone's achievements throughout the year. See all the photos from the Ceremony here! 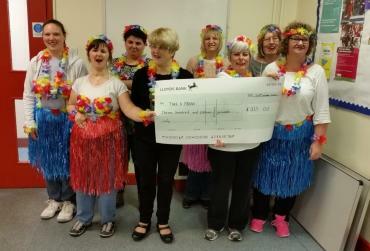 Congratulations and well done to the Take a Break Warwickshire Women's Group for raising over £300 at their Hawaiian sponsored walk! This is a really great achievement... and all in such wonderful fancy dress! Thank you Nicola from Cupcake Heaven Rugby for donating wonderful cupcakes. Thank you Dan Haynes from DH Training Solutions for donating pumpkins. Thank you also to Caroline England from Manor Farm Tea Room, Catthorpe. At Take a Break Warwickshire, we value friendship and fun really highly! 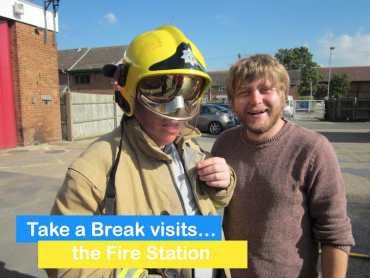 Every day of the week we have lots of groups out in the community taking parts in all sorts of activities, just like this recent visit to a local Fire Station. These group trips are a great way to try out new things, form strong friendships, learn new skills and have a great time! Wow, what a fantastic night! 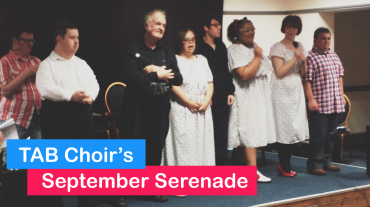 The first public performance by TAB Choir left everyone asking for more. We were so proud of everyone supporting each other. The soloists were outstanding and the full choir songs were amazing. Bren and Helen raise over £1000 for Take a Break Warwickshire! 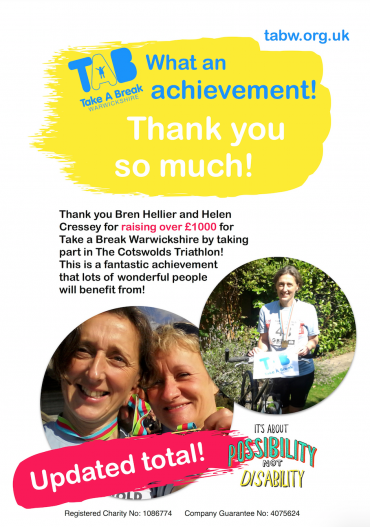 Earlier this month Bren Hellier and Helen Cressey took part in The Cotswolds Triathlon, a gruelling 750m swim, 20km bike ride and 5km run! Not only was this an incredible physical achievment, but they also managed to raise over £1000 for Take a Break... and for this we'd like to say a huge THANK YOU and WELL DONE!